The Veuve Clicquot Masters Polo is upon us this coming Saturday at the Val de Vie Estate and I am sure all the ladies have their outfits ready. For the guys, I know most of us leave outfit choices until the last minute, and for that reason we went shopping for you to get the perfect look without having to go to every single store. 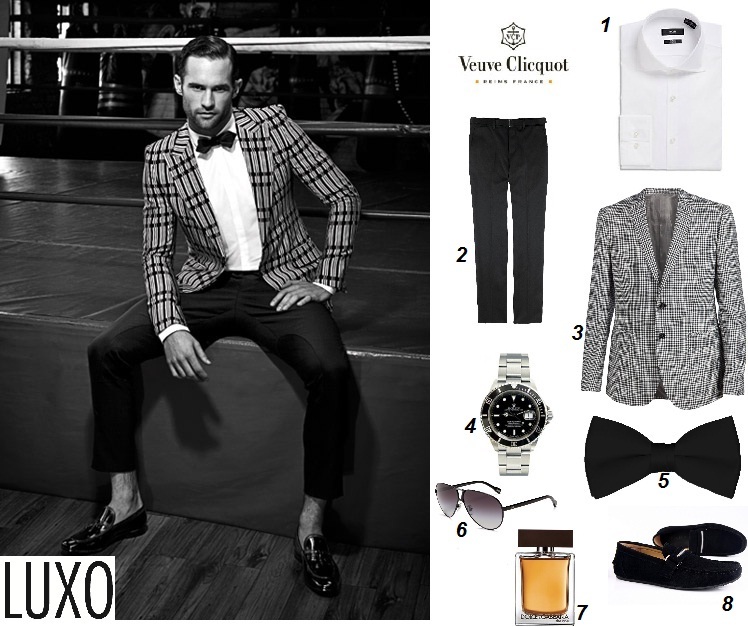 The Veuve Clicquot is a very sophisticated event and the guys are just as dressed up as the ladies so go for trendy patterns, sunglasses and of course the biggest trend of the season, bow ties. No comments yet on Get the Look: Veuve Clicquot.